The word “Wagyu” is an English translation of the Japanese word “Wa – Gyu”, which translates to, “Our (Japanese produced) beef cattle”. A breed of cattle native to Japan and considered a national treasure, Wagyu beef is highly marbled (muscles that are finely interspersed with flecks of monounsaturated fat). The marbling gives the Wagyu beef its “melt in your mouth” rich and juicy tenderness that is full of flavor. Unlike the traditional British/European bred cattle, Wagyu beef is a good source of essential vitamins and omega oils. Wagyu beef also contains high amounts of intramuscular fat that has a fatty acid composition, which is significantly lower in saturated fat and cholesterol, while higher in monounsaturated fat and Conjugated Linoleic Acid (CLA). CLA is a highly beneficial and essential fatty acid in human nutrition, with studies showing health benefits (i.e. control insulin levels, lower cholesterol, reduce the risk of heart disease, etc.). In Japan, there are four commercial Wagyu breeds, being the Japanese Black, Japanese Brown, Japanese Poll and the Japanese Shorthorn. Our foundation Full Blood Wagyu cowherd and our hand selected Full Blood Wagyu bulls are from the Japanese Black Wagyu breed, consisting of the three most famous breeding bloodlines in Japan – Tajima from Hyogo Prefecture, Itozakura from Shimane Prefecture, and Kedaka from Tottori Prefecture. 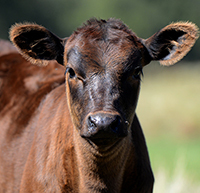 We have taken great care in recording and tracing the bloodlines of our Full Blood Wagyu cattle and are members of the Australian Wagyu Association Ltd. (Herd Code: CSP & Herd Prefix: CROWNSTATE). The attention to detail given to the Wagyu genetics ensures consistent quality in our Wagyu beef produced. As a producer of high quality Wagyu beef, we strive to satisfy all of our customers, whether they be our Japanese live export clients or our end consumers that truly appreciate the delicacy and taste of our Wagyu Beef. Through our NFAS accredited feedlot, our Wagyu cattle are fed on a time honored Japanese ration that is specially formulated by our animal nutritionist. From start to finish, the process of producing a premium, well-finished Wagyu beef would have taken us up to 3 years to produce. It is in our constant search of Wagyu beef perfection that we may satisfy our most discerning customers. Please contact us directly for any enquiries regarding our Wagyu beef produced.